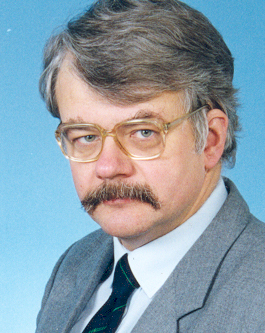 Marek Domański (born 1954) received M.S., Ph.D. and Habilitation degrees from Poznań University of Technology, Poland in 1978, 1983 and 1990 respectively. He was with Ruhr University Bochum, Germany in 1986-87 and 1990-91, as a DAAD and Alexander von Humboldt Fellow, respectively. Currently, since 1993, he is a Professor at Poznań University of Technology. He is also the Head (Director) of Chair (Department) of Multimedia Telecommunications and Microelectronics at this university. In 1999, he got the professor title from President of Republic of Poland. Prof. M. Domański headed many research projects on image and video compression, image and video enhancement and restoration, digital television, 3D video, multidimensional digital filters and telemedicine. Recent activities include industry-oriented research on 3D video, advanced video and audio compression techniques and as well as on video analysis and video surveillance. The respective research projects have been founded by European Union, NATO and Polish public institutions. He also led several industry-founded research and development projects with Mitsubishi Electric, Halliburton Energy Services, Samsung Electronics, Fraunhofer Institute - HHI Berlin, Advanced Digital Broadcast (ADB), TVP SA (Polish Television), Evatronix, Orange Labs. Prof. M. Domański serves as the head of Polish delegation to MPEG and he actively participates in MPEG (under auspices of ISO and IEC) and JCT-3V (under auspices of ISO, IEC and ITU-T) standardization activities, in particular in the following projects: MPEG-4 Scalable Video Coding, Universal Speech and Audio Coding, 3D Video Coding. He also chairs Technical Committee 288 for Multimedia in Polish Committee for Standardization (PKN). The research results include highly ranked technology proposals for international standardization within ISO/IEC: scalable video compression technology submitted in response to MPEG call for proposals (scored as one of the best – MPEG Munich, March 2004), SBR improvements for Universal Speech and Audio Coding (2010), 3D video coding submitted in response to MPEG call for proposals (scored as one of the best – MPEG Geneva, November 2011). Prof. M. Domański leads the team that provided many important results of industry-oriented research. These results include but are not limited to: one of the very first commercially available AVC/H.264 video decoders in digital television set-top boxes (2004), innovative MPEG-4 AAC HE decoder implementations (2005), AVC video encoder for test bitstream generation (2006), original audio and video codec for interactive television (2005), original network-on-chip-based FPGA implementation of AVC video codec (2007), new technology for geophysical data compression (2008), AVC-bitstream transcoding technology (2009), worldwide-known multiview test video sequences for 3D video research (2009), digital watermarking technology (2010), depth estimation techniques (2010), 3D video HEVC-based compression technology (2011), stereoscopic system for automatic measurements of moving vehicles (2012), preliminary demonstrator for free-viewpoint television (2012), HEVC implementations (2013). Prof. M. Domański is an author or co-author of over 200 peer-reviewed papers in journals and proceedings of internationally recognized conferences. The contributions were mostly on image, video and audio compression, image processing, multimedia systems, 3D video and color image technology, digital filters and multidimensional digital signal processing. He has already advised 18 PhD dissertations finished with PhD title granting. He also authored 3 books and some book chapters. There is the 650-pages “Digital picture” (in Polish) book among them. Prof. M. Domański was appointed as General Chairman and host of several international conferences: 29th Picture Coding Symposium, PCS 2012, Kraków 2012; 15th European Signal Processing Conference, EUSIPCO 2007, Poznań 2007; 73rd Meeting of MPEG and 16th Meeting of JVT, Poznań 2005; International Workshop on Signals, Systems and Image Processing, IWSSIP 2004, Poznań 2004, International conference on Signals and Electronic Systems, ICSES 2004, Poznań 2004 and others. In 2013, he co-chaired 10th IEEE International Conference on Advanced Video and Signal-based Surveillance. He served as a member of various steering, program and editorial committees of international journals and international conferences. He served as Area Editor of Signal Processing: Image Communications journal in 2005-2010. Since 1996, he is an elected member of the Committee of Electronics and Telecommunications of Polish Academy of Sciences. He chairs also Section of Signals, Circuits and Electronic Systems within this Committee. In 2005, he was a recipient of the highly recognized Professor Award “MISTRZ” of Foundation for Polish Science. Prof. M. Domański is lecturing multimedia systems, introduction to multimedia, digital television, video engineering, multimedia systems and techniques and system theory at Poznań University of Technology.